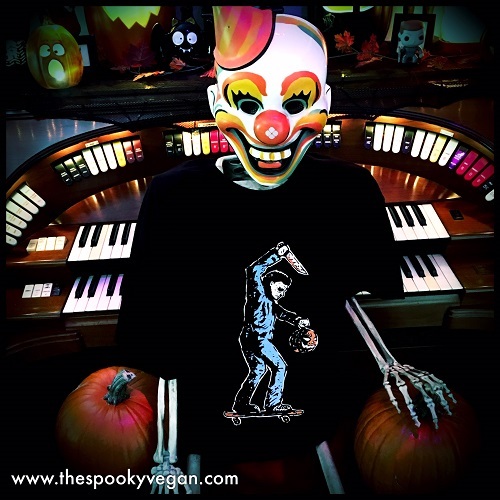 This October, I've partnered with Tee No Evil to give away two of their popular "skater" tees, featuring horror icons shredding it on skateboards! 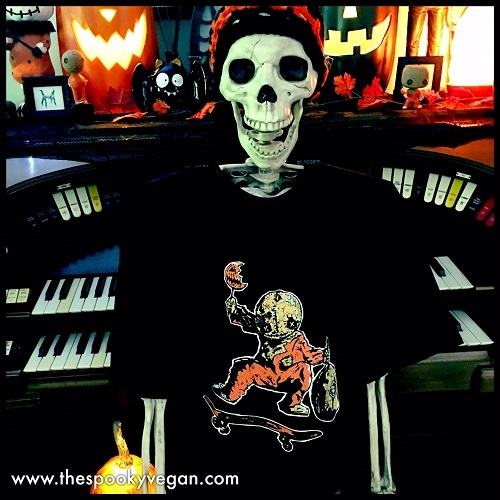 These tees have been a huge hit at conventions, festivals, and Halloween markets and have been flying off the shelves! For good reason, too, I simply adore these graphic tees and I know other horror lovers will too! 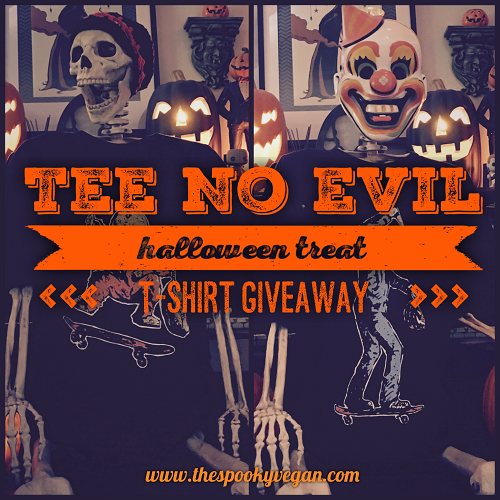 I am very excited for the opportunity to partner with Tee No Evil to give my readers the chance to win two of their t-shirts from their "skater" line - one featuring Sam from Trick 'r Treat (named "Trickster" on their site) and the other featuring Michael from Halloween (called the "Mechanic" on their site). I mean, just look how gorgeous they are above! This is an Instagram giveaway, so be sure to head to my Instagram for details on how to enter! @lonely.cookie@hotmail.com Omg! Omg! Best giveaway ever!!! !